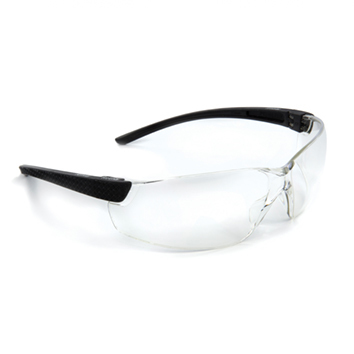 Extremely lightweight, the single wide-vision lens provides the wearer with an exceptional field of vision and the uniquely flexible sidearms give unrivalled comfort and grip. Deep fit lateral protection and a unique, flexible TPE temple provide unrivalled comfort and grip. Weighing 21g, RETNA also helps to minimise visual fatigue. View more about Riley Retna.